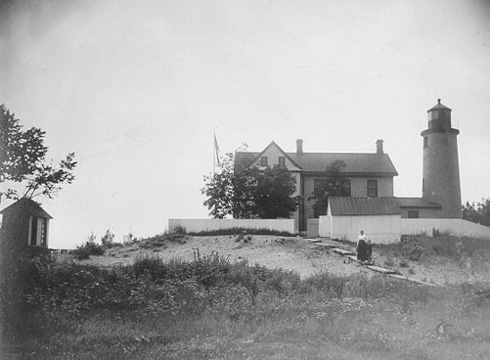 An old photo postcard of the lighthouse. Photographs taken in 2003 on the rest of this page. 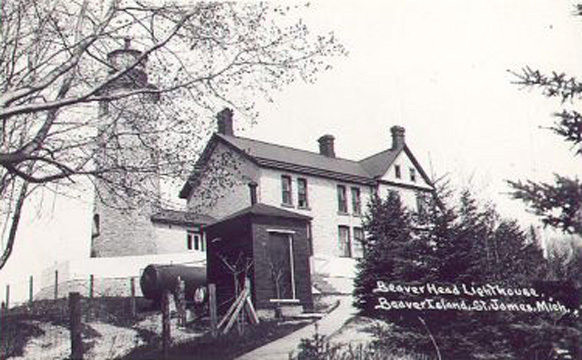 The Beaver Island Lighthouse Project originated in 1975 when Charlevoix Public Schools purchased the lighthouse and surrounding 64 acres for one dollar. 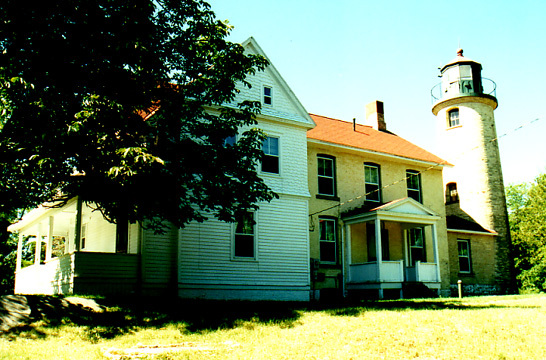 The lighthouse was declared surplus property after its replacement by the radio beacon tower across the road from it in 1962. In the following years, the lighthouse suffered deterioration and malicious destruction from vandals who shot holes in the walls, etc. 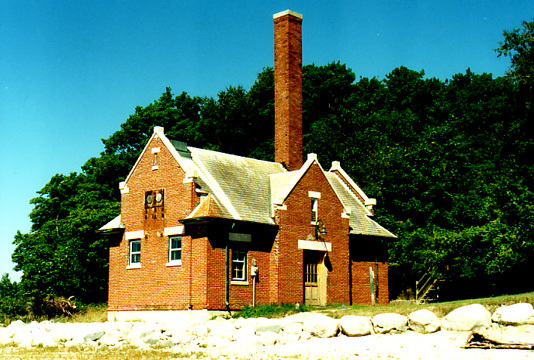 Renovation of the lighthouse began when Charlevoix Public Schools initiated a C.E.T.A. funded summer work-study program for socio-economically disadvantaged youths. Approximately 25 youths attend each of the two, five week summer sessions. They live in platform tents during the week and return to the mainland for the weekend. The youths, ages 16 to 21 years of age are divided up into various work crews. Restoration, cabin duty, nature trails and kitchen duties. The crews gain valuable experience in each of these areas while they are there. 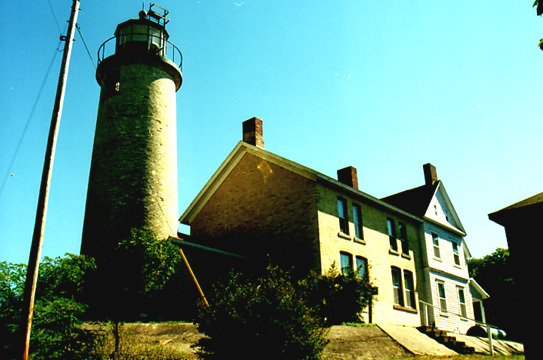 Other activities are held as well throughout their time frame at the lighthouse.